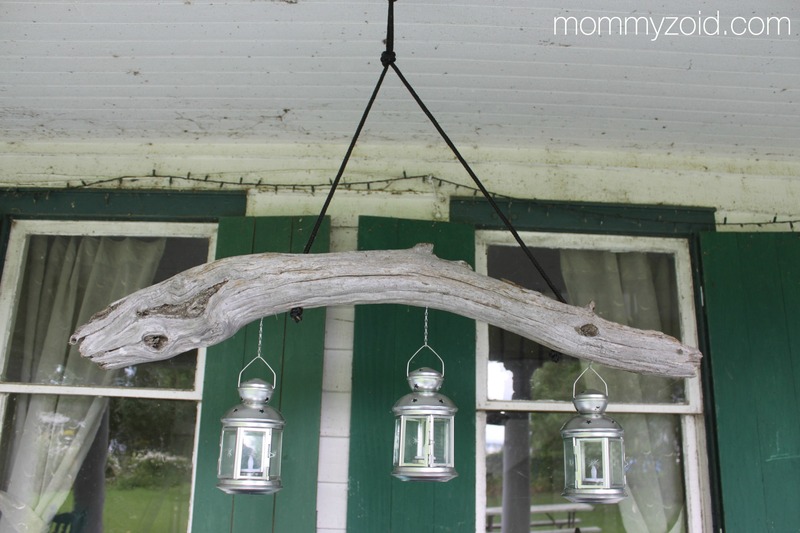 A welcome addition to the front porch of my families cottage is this driftwood chandelier, another DIY that makes something wonderful out of virtually nothing. With a few coats of paint, some fun outdoor throw pillows, and a few DIYs this porch has become the centre of attention. It has become a place that not only looks like it’s out of Cottage Life Magazine but feels warm and inviting. It’s a space that is conducive to gathering which is a popular activity at the cottage. Many a days have been spent reading magazines, doing puzzles, and hosting get-togethers under this here chandelier. This cute DIY is the brain child of my Mother in Law and my Husband with a little bit of know how and designing from my Dad and his wife. A family DIY! Neat! Without further ado, here’s what you’ll need. First decide on a piece of driftwood to use. It can be as big or as small as you’d like. Remember it has to hang from the ceiling so you might want to take that into consideration. Now this wasn’t an exact science, at least that’s the idea I got from the sidelines while watching this family DIY go down. I’m more of a thinker-uper than a get-et-done-er! 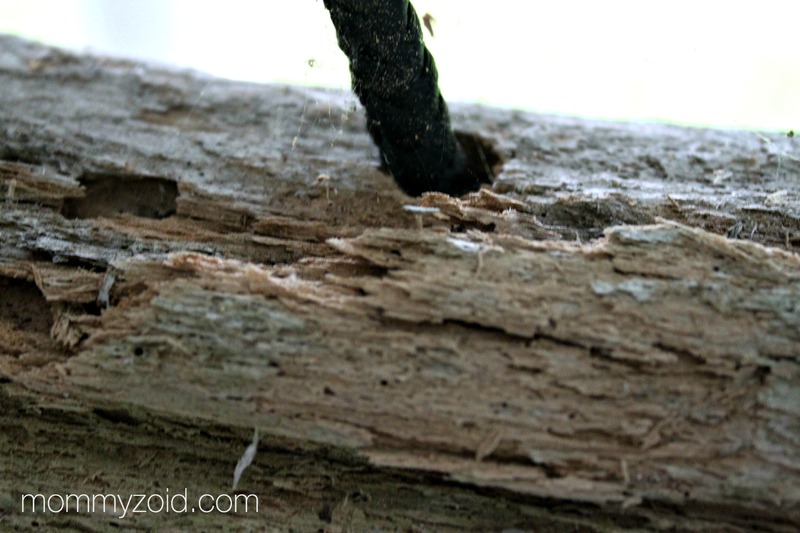 Drill two holes wide enough for your rope to slide through and tie a tight knot or two large enough to keep the knot from slipping through the holes. 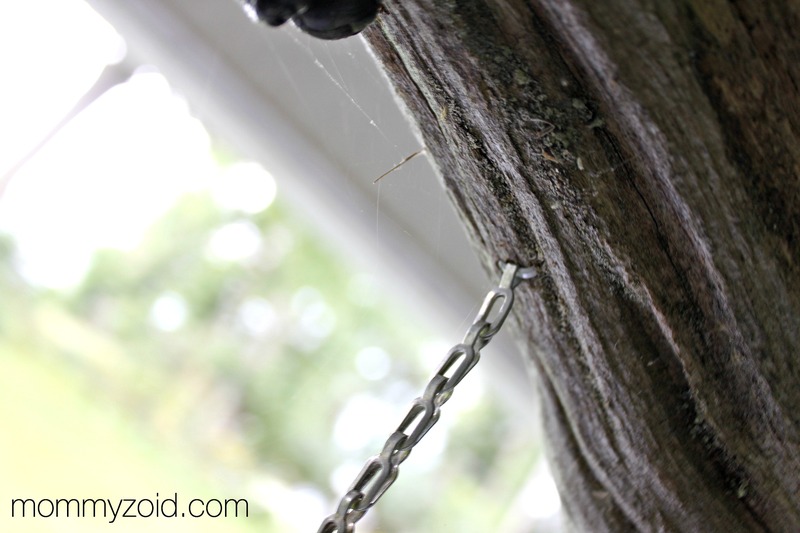 On the underside of your piece of driftwood, use wood nails to secure your piece of chain. Make sure your chains are evenly spaced for balance purposes but again, it’s no science. Eye ball it! 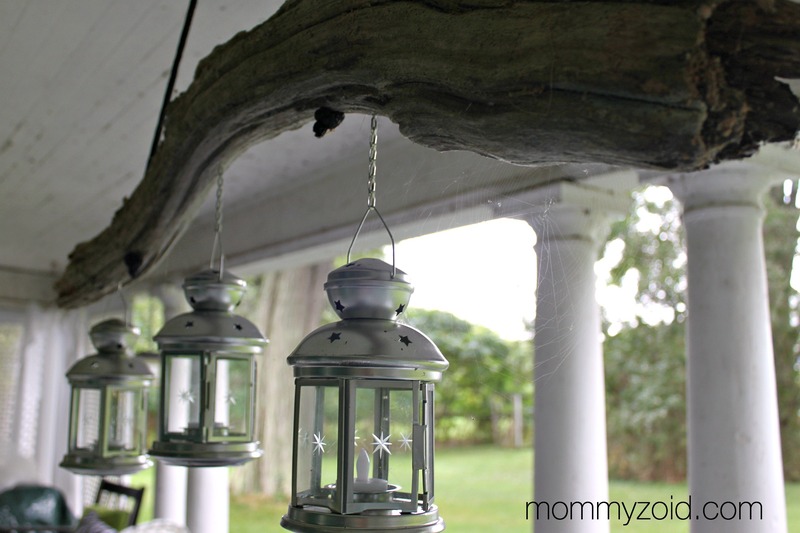 Now fix those hooks on the end of the light chain (this is where you’ll hang those little lanterns). and TA DA. Isn’t it cute? I’ll be sharing this DIY on these amazing blogs!